When playing card games with forced bets, such as Texas Hold’em Poker, the location of the dealer progresses around the players one position for every hand. This advancement of the dealer helps balance the game because everyone gets a turn in order. This is as important as the player immediately to the left of the dealer typically has to make an automatic bet called the small blind, and the next person around places a bet called the big blind. Players who have made blind forced bets are already committed to the pot in various degrees (irrespective of the cards they hold), and this helps mix-up the game. In addition, requiring bets each round keeps the game moving with players participating in hands with cards they might otherwise not have played (if you fold every hand you’ll still gradually lose money as the blinds pass you). The position of the dealer (even if this is person is not the person who physically deals the cards, such as games with professional dealing staff), is typically marked with a dealer button, which is a puck that moves around the table. This does leave the question, however; Where should the dealer button initially begin? Who gets the dealer button first? One common strategy is called the First Ace. The deck is shuffled, and cards dealt out one-at-a-time face up, going around the players seated at the table. This continues around and around until the first ace is exposed. The person who is deal the first ace becomes the dealer for the first hand. At first blush, this seems pretty fair, after all, the deck is randomly shuffled. However this system has bias (for more on bias and shuffling you might be interested in this article), with different odds of getting the dealer button depending on position. It’s instant death. As soon as an ace is turned up, the competition stops. Those players further downstream might not even had chance to receive a card. There is more than one ace. If there were only one ace, this system would be fair, but with more than one ace, the concentration of aces changes non-linearly as more cards that are not aces are drawn. If you desired to the dealer, where is the best place to sit? Is getting a card before the others downstream of your more advantageous (since the game instantly stops if you get an ace), or is it better to be a little later in the table as the concentration of aces in the unseen deck increases with each card exposed that is not-ace? The odds are not quite that simple either because, if an ace is not seen after everyone has had one card, we continue dealing around, so the true expected probabilities need to account for the possibility of getting the first ace over all passes. Let's look at the probabilities. The math is actually pretty easy. There are four aces in a deck of fifty-two cards. The denominator gets smaller with each card drawn. 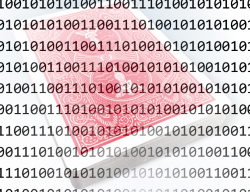 The probability of getting the first ace on card n, is the product of not drawing an ace on the first draw, or the second, or the third … or the n-1th card, then drawing one of the aces out of the cards left. For the first person to get the ace, it's probability the ace is card #1 OR card #3 OR card #5 OR … To OR probabilities we add them. How Many People at the table? To the right are which players get which card if the cards are dealt out cyclically. I've given figures for up to 13 people at the table. (Obtained by reading down the column marked 4 and summing all percentages for grids that contain a one in the matrix). You can immediately see that this is higher than that 25% we'd expect if this was random. Dealing to the first ace has bias. It's trivial if there is only one player; he's bound to get the first ace with 100% certainty! Here are the results for table sizes 2-13. For each one I've shown the player position, the percentage chance for someone seated in that location (obtained by summing the percentages), and the absolute +/- percentage difference from the expected result that pure random should give. Interestingly, whilst absolute percentages are shown, in terms of relative percentage, it is over twice as likely you will get the dealer button, for instance, if you are sitting in position #1 of a twelve player table than if you were sitting in position #12. Now that we know the first ace strategy is biased, what should we do if we really wanted the selection to be fair? The second is to deal everyone just one card each, and the highest card wins. If there is a tie for first place, then all those tied can be dealt a second card, and a third … as necessary until a high distinct card is obtained.